I got the pictures to work!!! Here’s a recap of our road trip up to Maine! Saturday was spent on the road, but we finally arrived at the lake late that evening. Unfortunately the AC in our jeep decided it was done working,and it was about 95 degrees out the whole time. Needless to say, we were really hot. 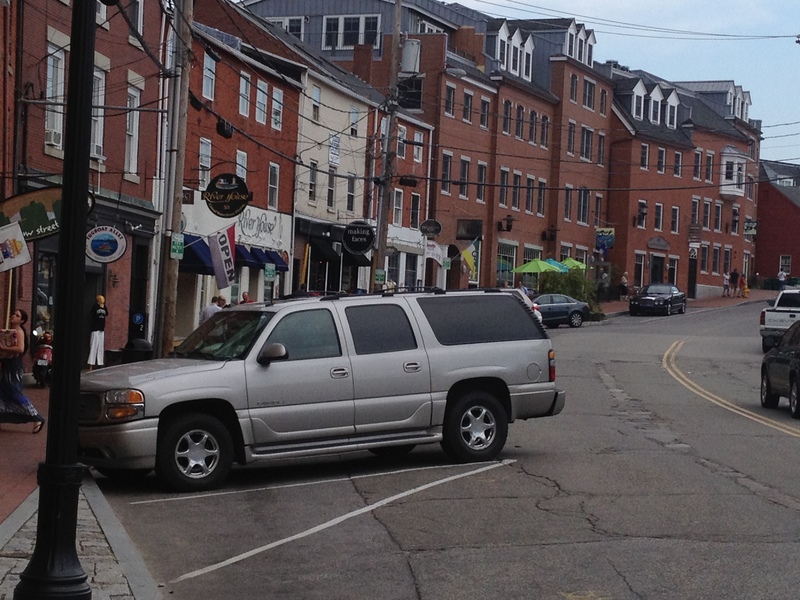 but planned to stop for a late lunch in Portsmouth, New Hampshire. We hit insane traffic in Massechusetts though, so didn’t get to Portsmouth until 3:30. We were crazy hungry and more than ready to get out of the car and into some AC. 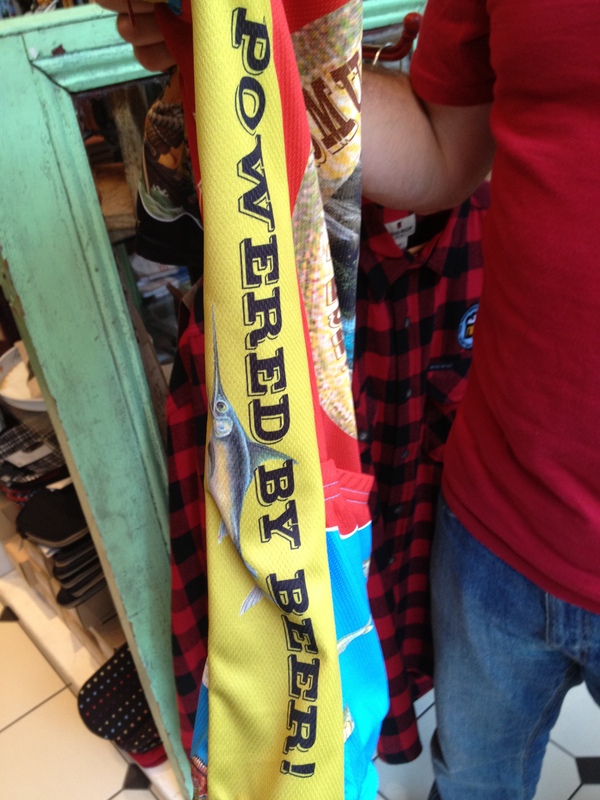 We ate at Poco Bow Street Cantina, which sits right on the water. 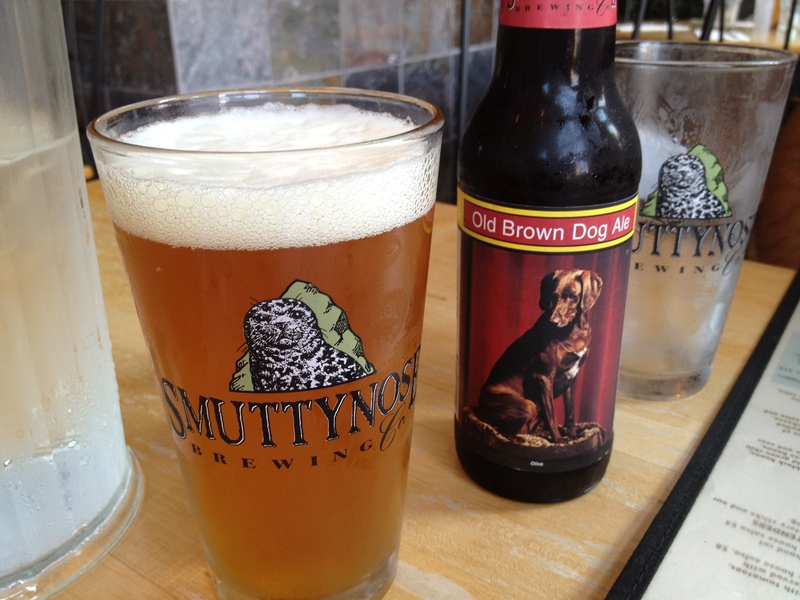 I had a Smuttynose (local brewery) Shoals Pale Ale and Joe had his favorite, Old Brown dog. Then we split two entrees which were both SO good. 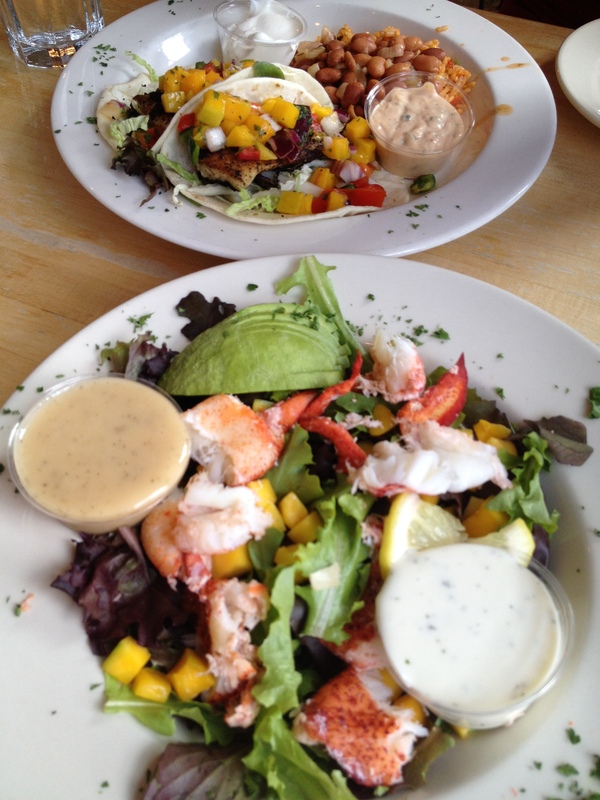 The blackened red snapper tacos and the lobster, avacado, mango salad with lime vinagrette dressing. Holy yum!!! Neither of us were in a hurry to get back in the car, so we walked around for a bit. If you ever have a chance to come to Portsmouth, you should; it’s a really cool place. 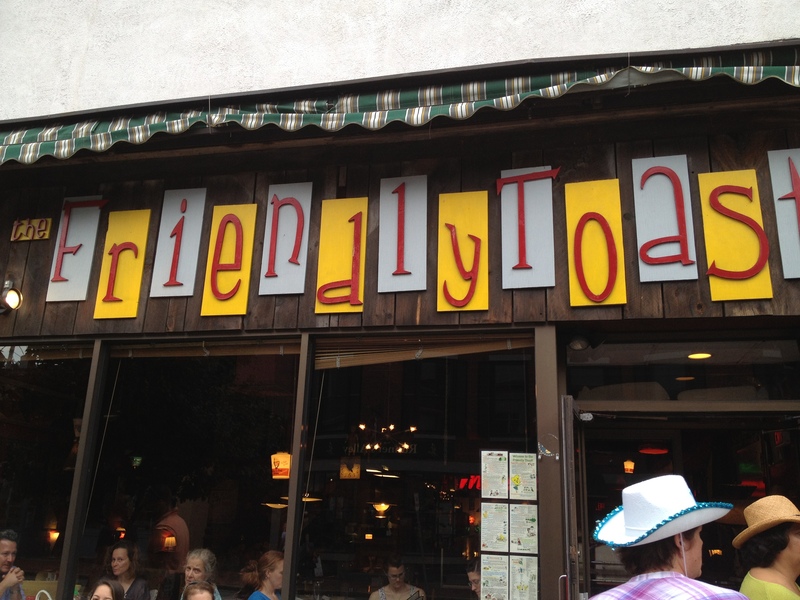 If you’re a “man vs. food” fan- Adam visited here! 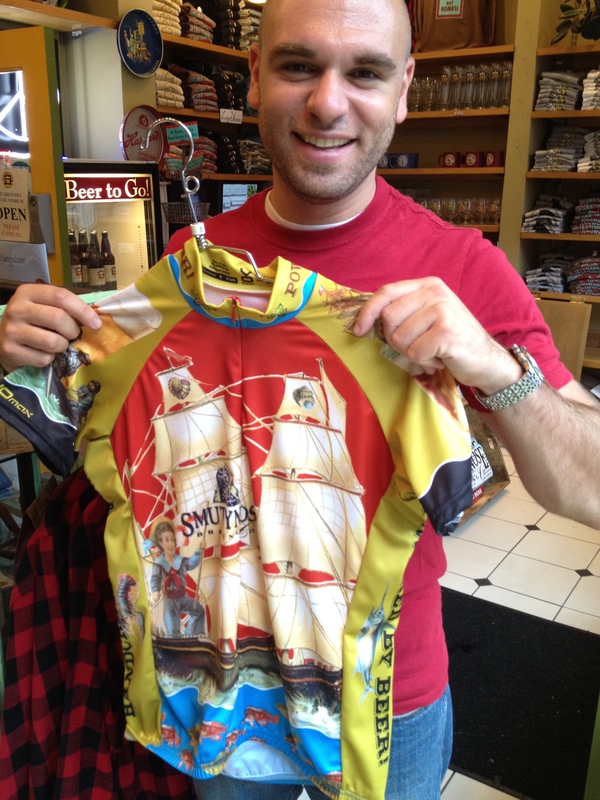 Before heading out, we stopped at the Smuttynose Brewery where I tried to get Joe to buy this racing jersey. Eventually we got back on the road and drove fairly smoothly the rest of the way north. 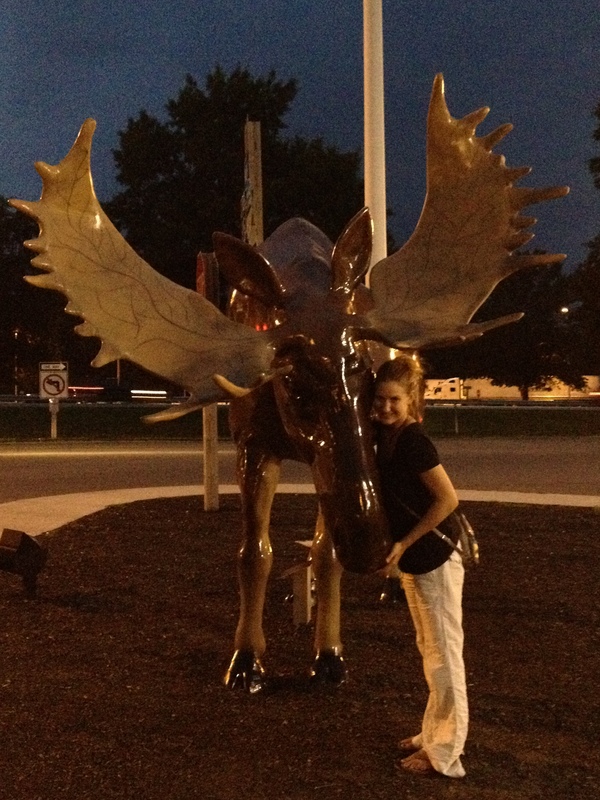 We stopped once for gas and coffee (+ ice cream), and I made friends with a moose :). We got to the house around 11:30 and everyone was asleep already, so we decided instead of showering off our day of car sweating, we would just go jump in the lake! After a quick night swim, we hopped into bed and immidiately passed out. Has anyone seen a real moose before? It’s been a few years since I have, but they are pretty huge and impressive!! This entry was posted in Eat and tagged avocado, driving, lobster, mango, New Hampshire, Poco Bow Cafe, Portsmouth, snacks, traffic. Bookmark the permalink. Ha Ha, love that you decided to hop in the lake for a late night swim. You two are adorable <3. 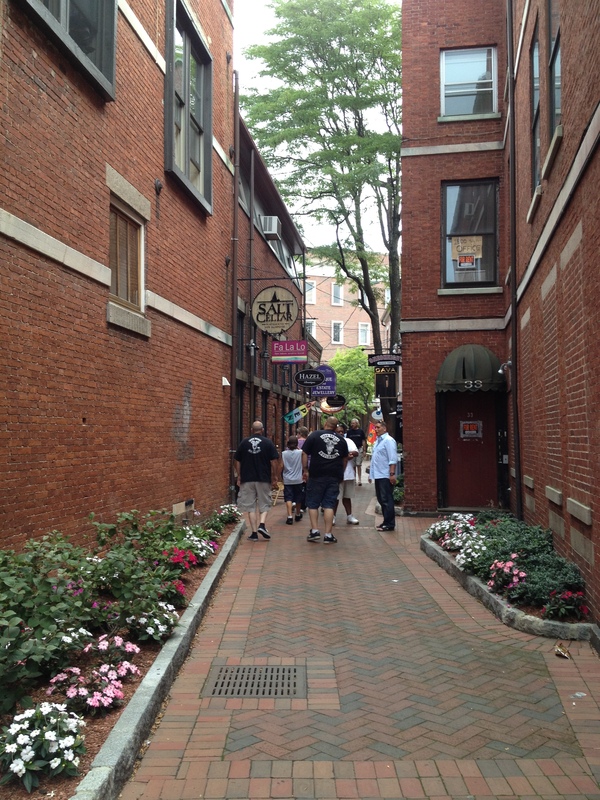 Your meals look delicious… and you are so right, Portsmouth looks like such a neat little town. Would love to visit one day! Night swimming is so fun, but in kind of a scary way- it’s completely pitch black out there!! 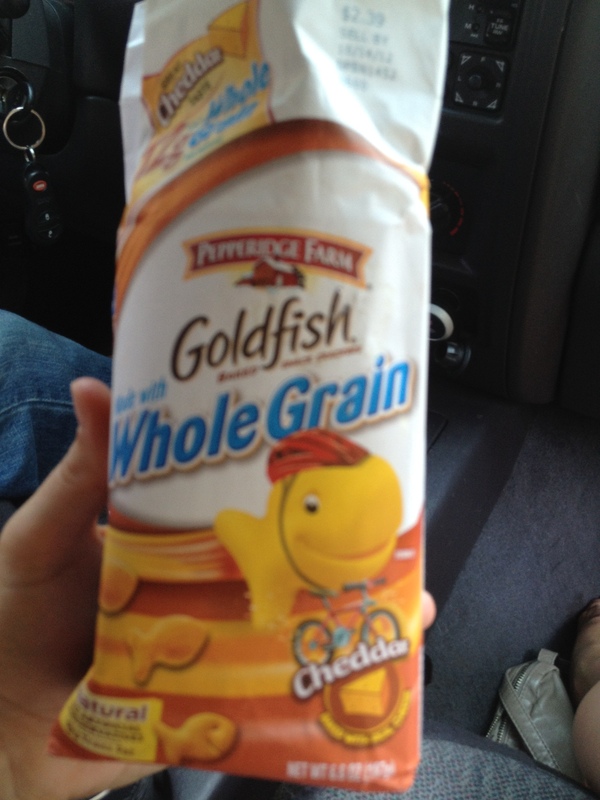 I LOVE to take those whole wheat gold fish on road trips! 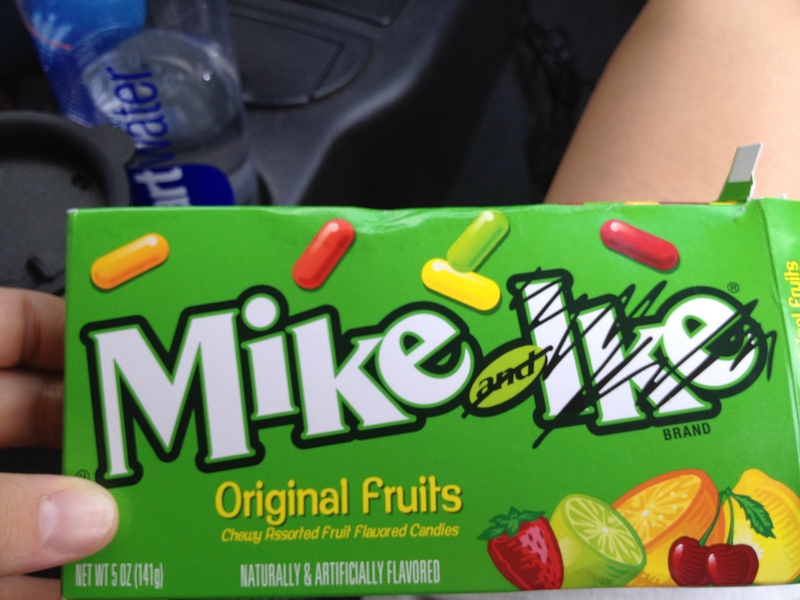 The perfect snack for the car! Yum! Hitting traffic stinks but glad you stopped and had some good grub and booze, lol. Looks like a cute town the hubby and I would like. Looking forward to hearing/reading/seeing more lol. You would love it there!! There are actually so many really cute towns on the east coast, I wish I had the time to just drive around and visit them all!